BIRMINGHAM, Ala. – The Southwestern Athletic Conference released its 2018 All-Conference Teams on Thursday with 12 players from the SWAC East Division champions Alcorn State being tabbed for the most individual honors. The teams were announced two days before the 2018 Toyota SWAC Football Championship at Jack Spinks-Marino Casem Stadium on the campus of Alcorn State University in Lorman, Miss. after ballots were cast by the league’s head coaches and sports information directors. Forty-eight players were named to this year’s All-Conference teams. Players were ranked in their position based upon the number of votes received. Ballots required voters to rank their selections in order. Arkansas-Pine Bluff wide receiver Dejuan Miller was named the SWAC Freshman of the Year after ranking tied for first in the conference in receptions with 56, third in receiving yardage with 801, and was tied for second in receiving touchdowns with six. The Belle Glade, Fla., native was also third in receiving yards per game with 72.8 and was second in receptions per contest with 5.1. During one stretch, Miller eclipsed the 100-yard receiving mark three consecutive weeks and recorded a season-high ten catches for 142 yards and two touchdowns versus Grambling State on Oct. 27. Prairie View A&M had the second most total amount of selections on the teams with nine (seven on Second Team), Arkansas-Pine Bluff followed with seven selections (five on First Team) while Alabama A&M and Alabama State each had five choices apiece named to the teams. The Bulldogs had two players named to First Team, and the Hornets had one player honored with a First Team slot. Grambling State had five student-athletes chosen to the teams including two on First Team. 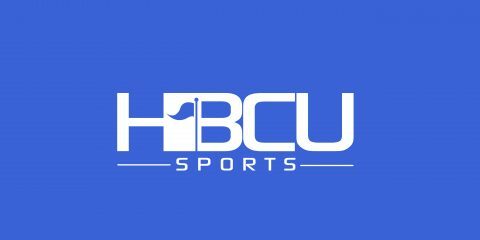 Southern, Texas Southern, Mississippi Valley State, and Jackson State all had two selections each with one First team player apiece.